An ingenious tool for the optimal tuning of your brake shoes! Works on ATB and race bike wheels with a maximun of 36 spokes and rims upto 40mm wide. Consfiddly to get onto rim, a bit pricey for what it is. If you have cantilevers, you should buy this. 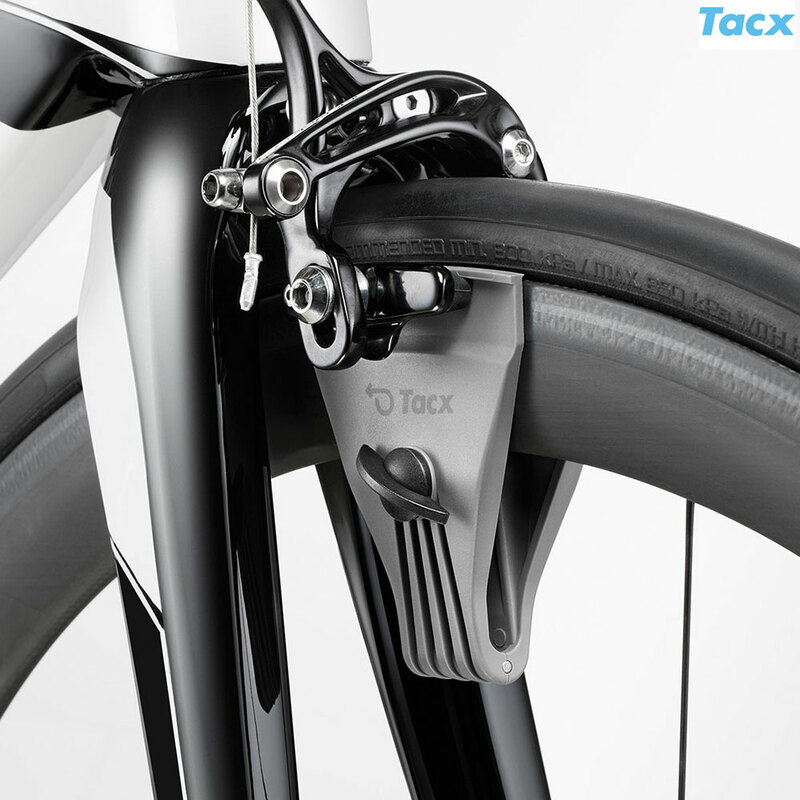 It's a very useful tool that allows you to line up the brake blocks perfectly on the rim. It also sets the toe in correctly. I'm not sure I could go back to setting up my brakes without it now. The only draw back is that It's a bit fiddly to fit around the spokes, but this isn't a serious fault. Makes setting up the toe in much easier and quicker with this tool, well made and should last for years. Good For Front, But Beware Back! Only useful for front Shimano M970 V-Brake, will ruin and halve the life of pads on back Shimano M970 V-Brake! Super easy, super quick, Buy it.